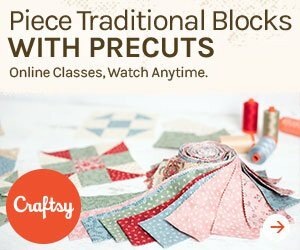 To check out my Craftsy classes click on the class banner below. 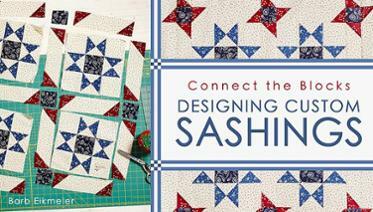 In Connect the Blocks I'll show you how to custom fit your sashings to any size quilt block. This class is similar to the popular "It's All in the Sashings" lecture and workshop. 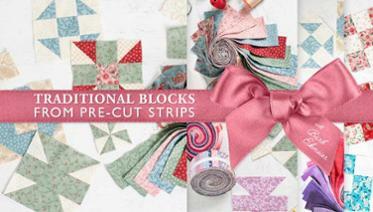 If you love pre-cut 2 1/2" strips and you are a fan of traditional blocks this class might be just what you are looking for! Start with the basic techniques while making 6" blocks. Then learn to create your own look by adding frames and enlarging your blocks. Watch me demo sewing curves and enjoy a whole lesson on Back Basting Applique.